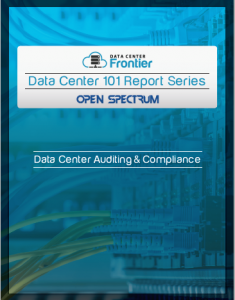 The Data Center 101: Auditing and Compliance report, brought to you in partnership with Open Spectrum, is part of Data Center Frontier's Data Center 101 Special Report series. This entry, part of a group of 14 reports that cover the ins and outs of the data center industry, explores data center auditing and compliance. The Data Center 101: Auditing and Compliance report offers an introduction to various auditing organizations relevant to the data center industry, such as the The American Institute of Certified Professional Accountants (AICPA) the worlds largest organization of accountants, or The Federal Information Security Management Act (FISMA), which provides federal standards for federal agency data security practices. Even elements like data center cooling have organizations that publish standards for everything. In this case, the American Society of Heating, Refrigeration, and Air-Conditioning Engineers (ASHRAE).